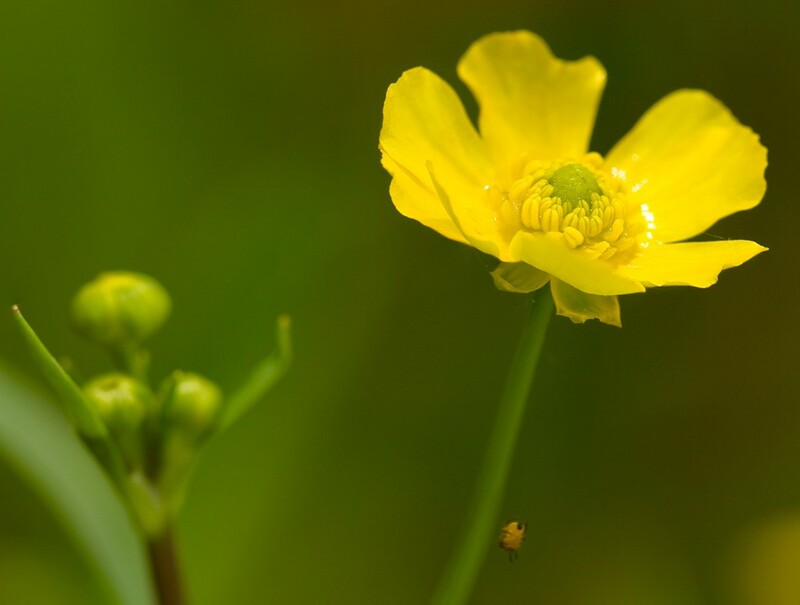 With its shinny yellow flowers consisting of five petals and numerus anthers lesser spearwort is clearly related to the more familiar buttercups but, in common with other spearworts, differs in having lanceolate stem leaves. 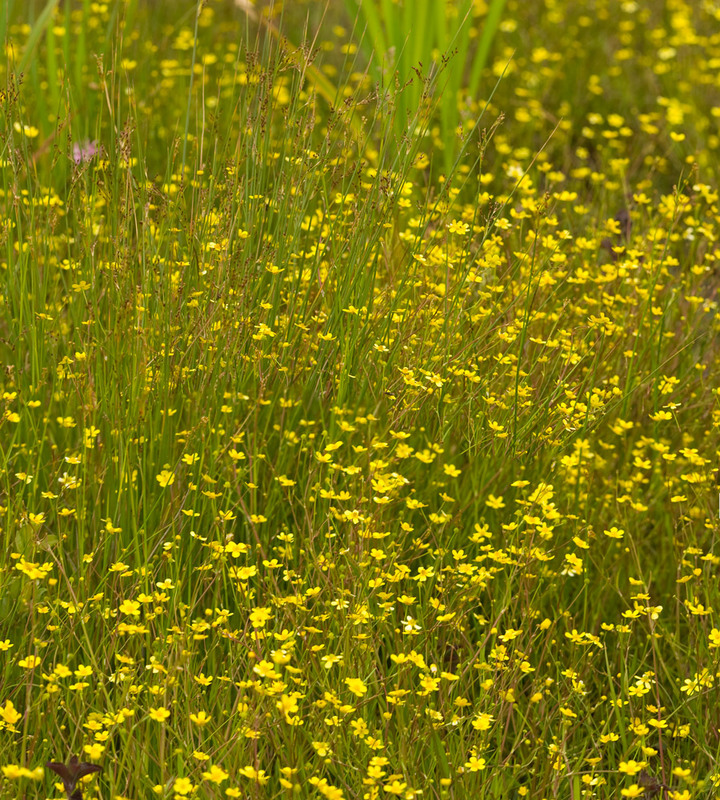 Britain has four native species of spearwort but only two are likely to be encountered. Creeping spearwort is virtually extinct although occasionally turns up naturally introduced by wild geese and adder’s-tongue spearwort is only found in Badgeworth, Gloucestershire. Greater spearwort resembles a larger more robust version of this species but differs in having an un-furrowed leaf stalk. Lesser spearwort flowers from May to August. The species name Ranunculus flammula relates to the Latin word flamma, which means flame and probably referees to its fiery flavour. 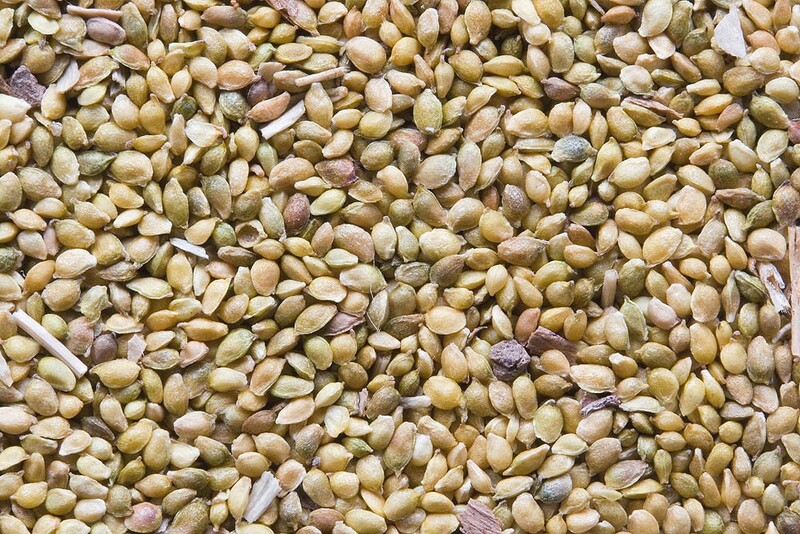 It is mildly toxic and contains chemicals that might irritate the skin and mucous membrane. 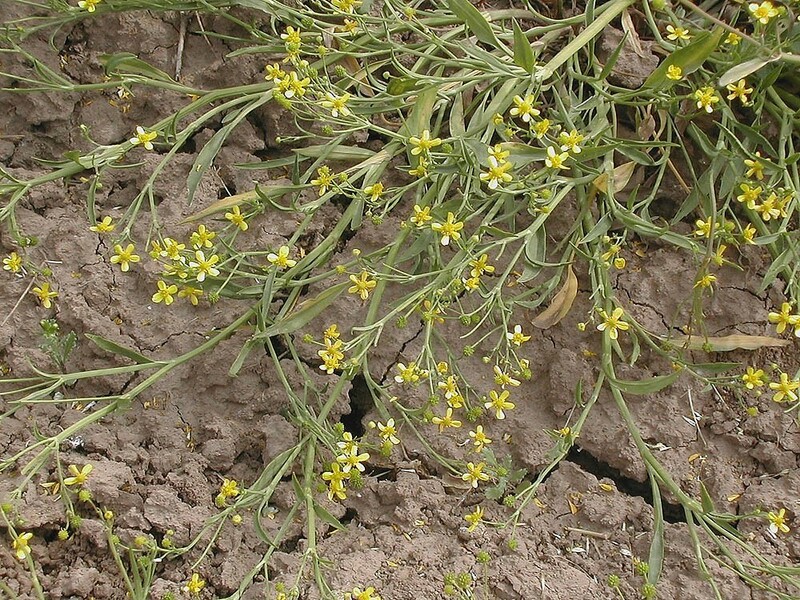 Lesser spearwort is a native perennial of wet habitats on acidic to neutral soils with a medium to low fertility. It particularly favours sites with seasonally fluctuating water level such as those that might be found on the margins of ponds and lakes, by stream sides and near springs and flushes. 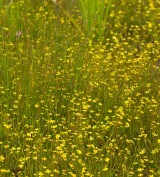 It is also found in water meadows, dflood plain pastures, marshes and bogs. Easily grown from seed sown at any time of the year. Need plenty of bare, wet mud.